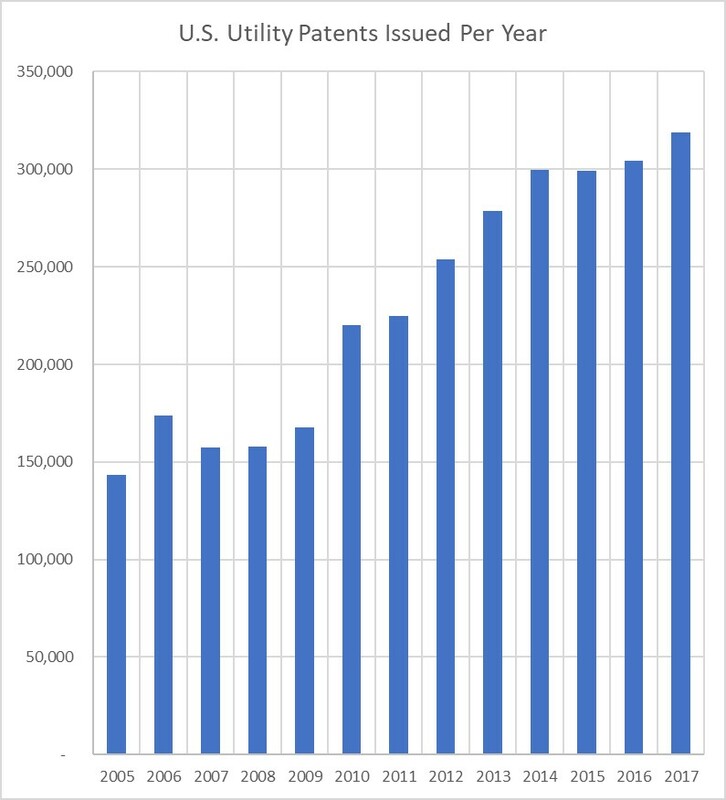 Question in my mind: Are applicants filing measurably better patent applications now than they were 10 years ago? It might be useful to know how much of the growth is from domestic-grown invention and how much is internationally-derived. Is there data on how many of the issued patents have at least one US-resident inventor, or how many of these patents have a foreign priority date? 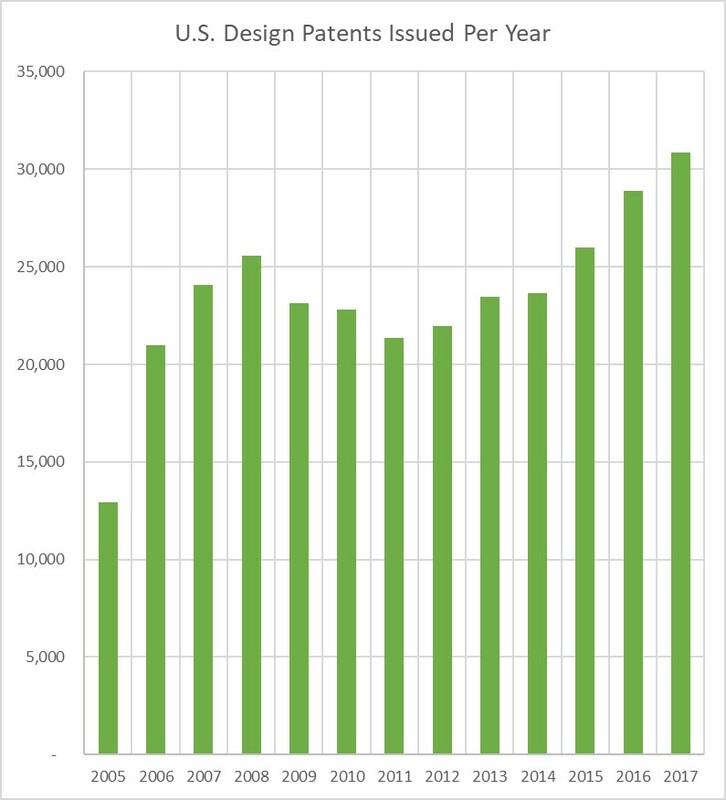 I am curious as to what may have caused the dip in design patents. It’s a fair guess that the slump in 2015 and 2016 was related to Alice and her progeny. Perhaps the recovery in 2017 was from clearing out “will never issue because of Alice” cases off of dockets (yours and ours) to make room for other cases with fewer irreconcilable 101 problems? Sounds intuitively plausible to me. I agree. With the drop in “pure applications,” the bubble rise may reflect a ‘catchback’ after the initial set of “don’t allow anything” in the wake of Alice, as practitioners recycled through efforts to work with examiners to fine tune the language that met the “scrivener’s bar” from applications drafted pre-Alice. Are you implying that “there should be less patents” and that for whatever reason, such less would be better?